Keep adequate records in order to complete your Tax Return - Ensure that you have accurate records of your business income, expenses, and purchase and sale of assets. If you have other sources of income and investments, have these records on hand also. Submission deadline - 31 October 2009 for filing paper returns. Make sure your Tax Return is completed, signed and dated before sending. 31 January 2010 for online filing. Using a tax adviser - An experienced tax adviser can help you with completing and submitting your Tax Return. Please remember to let them have your information well before the submission deadline so that it is completed accurately and in time for the due date. Remember your adviser is there to help you with only the technical issues of completing your Tax Return, but the responsibility is on you for ensuring that all information disclosed is accurate and complete. The main Self Assessment tax return (Forms SA100 and SA101). Self-employment pages- complete Form SA103S (short form) for turnover (this is not profits) which was below £67,000. If your turnover was more than £67,000 then you complete Form SA103F(full form). If your business is a partnership, you'll have to fill in a partnership Tax Return SA800 and the Partnership supplementary page - SA104S or SA104F - instead of the SA103, showing your share of the partnership profits. Other forms you may need to complete: if you have other sources of income (eg from employment, property let out, capital assets disposal etc) then you will have to complete the relevant forms. Remember, HM Revenue and Customs will not always send you these additional forms and it is your responsibility to ensure that you complete the right forms which can be downloaded from the Revenue's own website. Calculating your tax - If you complete and submit a paper tax return then you will have to calculate the tax due on your profits (and other sources of income). If you file your Tax Return online or have a tax adviser than tax calculations will be provided. You can estimate your tax or use provisional tax figures but these must be explained in the additional information box of your Tax Return. 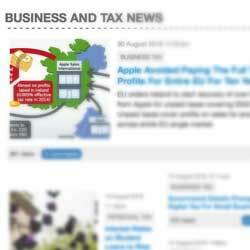 A tax adviser can also discuss ways of reducing your tax or postponing tax. Pay your tax on time- to avoid late payment penalties and interest, ensure that your payment reaches HMRC before submission deadline. 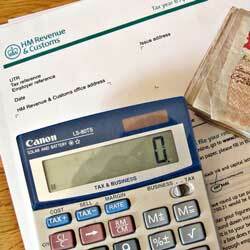 If you cannot pay on time then discuss this with HMRC for an alternative payment arrangement.